Youth Focus Inc. is a non profit organization that sponsors and administers twelve major programs a year for the benefit of youth. 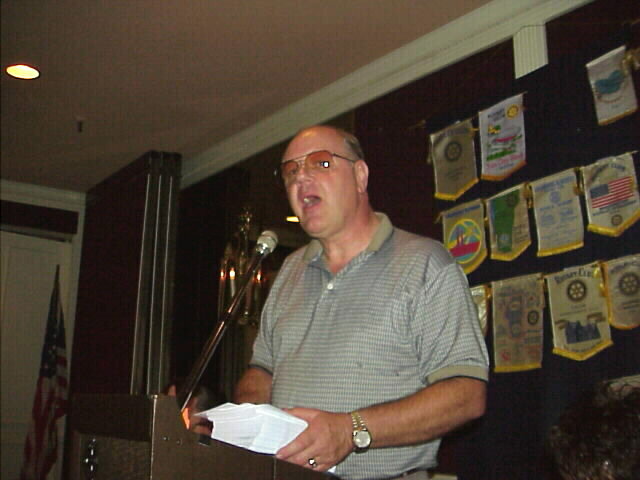 The programs run the gambit from Youth Recognition Programs to leadership training to the Performing Arts. Annually Youth Focus Inc. touches the lives of some 6,000 young people through the conduct of its programs. The organization's goals clearly reflect the attitudes that have made our society strong; that is the pursuit of education, self-discipline, and the recognition of individual accomplishment. The most often asked question of the organization is, "Are the young people associated with Youth Focus Inc. "At Risk Kids". The organization's standard response is, "Every young person in America today is At Risk!" Every 78 seconds, an adolescent in this county attempts suicide. Every 90 minutes one succeeds. Every 2 minutes, an adolescent is killed in an accident. Every 80 minutes one is murdered. Every 31 seconds an adolescent becomes pregnant. Nearly half of all high school seniors have used an illegal drug at least once and almost 90 percent have used alcohol.... some on a daily basis. Every young person comes to a crossroads in their adolescent years where they have to make choices. Due to the influence in their lives they either choose a positive course or one that has tremendous negative consequence in their personal and family lives as well as that of society. It is an organization like Youth Focus Inc., which develops programs that assist young people from every socioeconomic and diverse background to make positive choices. Another frequently asked question is "where do the young people go after they have completed their participation in Youth Focus programs?". "Do they go on to national programs?". The answer is with the more than $850,000 dollars in educational scholarships that our organization has awarded, they go on to become doctors, lawyers, teachers, engineers, college professors, nurses, public servants, community workers and a myriad of other honorable professions. These young people of accomplishment utilize their training and experience through Youth Focus programs to contribute to the betterment of our community life as productive citizens. Lindsay will be entering her sophomore year at Foothill College in the Fall where she is a performing arts major. Her desire is to obtain a elementary teaching credential and to teach music and theater arts. She has participated in numerous musical productions over the past thirteen years with both her school and theater groups within Silicon valley. She has been cast in many leading roles. Her training includes nine years of private vocal study, four years of choir, three years of in Advanced Concert Choir, four years of vocal ensemble and eight years playing the flute in concert band. She has also had dance training. 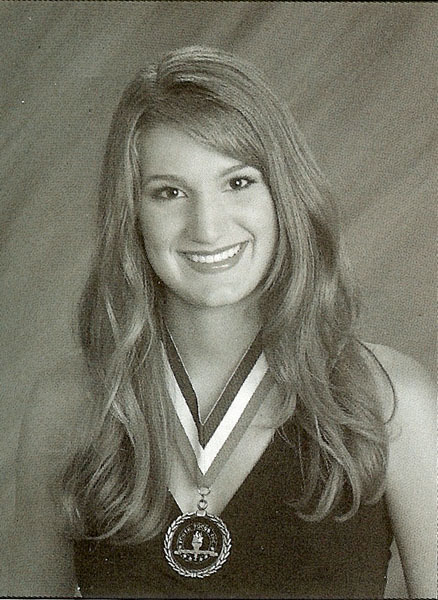 Her honors include Scholarship from Women's Club of Campbell's 22nd Annual Solo Music Competition, Scholarship from Westmont's National Choral Award. She has received numerous Grand Champion Awards through her participation in the California State Talent Competition, the California Spring Talent Fest and the Greater Bay Area Talent and Performing Arts Competition. She was the recipient of the PVT Tony Awards-Triple Threat, AMT's Teen Stars Academy-Triple Threat Award to name a few. Lindsay has completed over 1225 hours of community service by reaching out to children and singing for numerous community fairs, festivals and events. Her hobbies include musical theater, singing, dancing, acting, reading, camping and snowboarding. 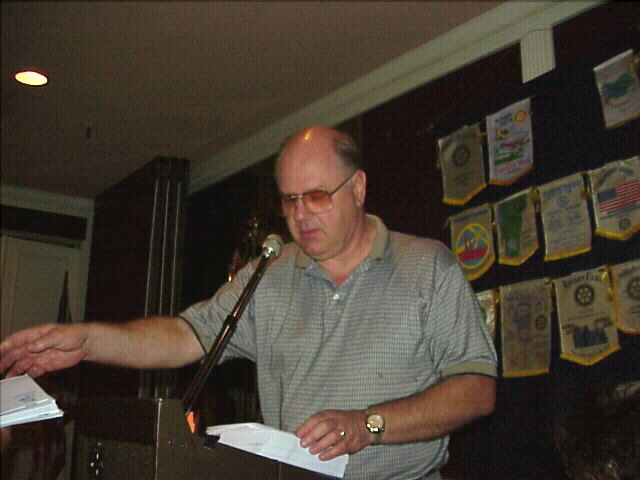 Bill Smithers, Director of Youth Focus, spoke briefly about the Santa Clara Valley Youth Fair and handed out free passes to the members of Rotary on 21 July 2000. Marissa Cruz was the year 2000 North/South Young Woman of Achievement and sang two songs to demonstrate her beautiful voice at our meeting. 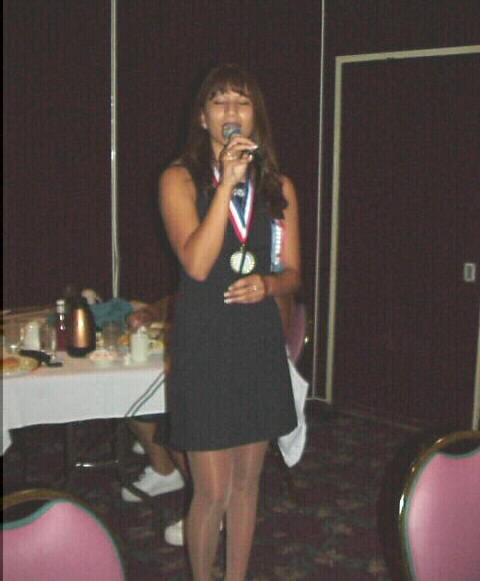 She sang the National Anthem at the 26th All Star Football Game.